I love going out to dance, explore and finding different music venues to visit. Like most people I love all types of music genres but, what I love the most is exploring the different sims here in SL and listening to what I like. Here are some venues I recommend so you can get an idea of what type of places you can visit, listen to music and have a great time too. This Sim is all country!! 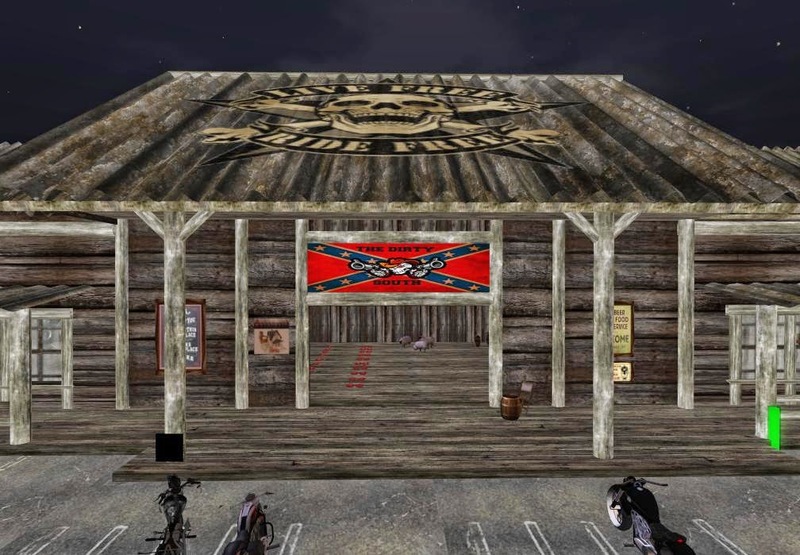 From the music to the venue, which plays the best country music. The place is filled with people line dancing and socializing. The staff and host are wonderful. Be sure to join the group so you can find out when events are happening. 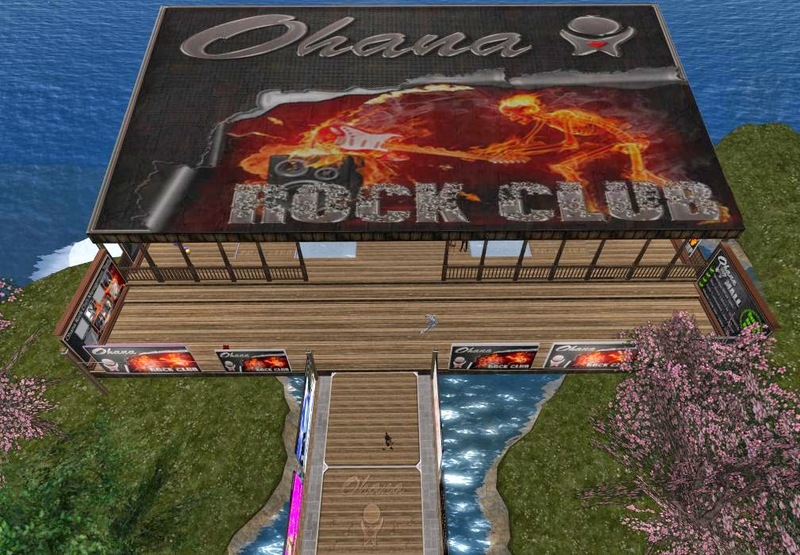 Ohana Rock Club in my opinion one of the top clubs here on SL. I was greeted right away from the host and felt welcomed. This music here is rock. Ohana Rock Club was filled with lots of people dancing and having a good time. Right away you feel comfortable being a part of the crowd. Join the group for info on events. Ohana Rock Club also has a Facebook page. 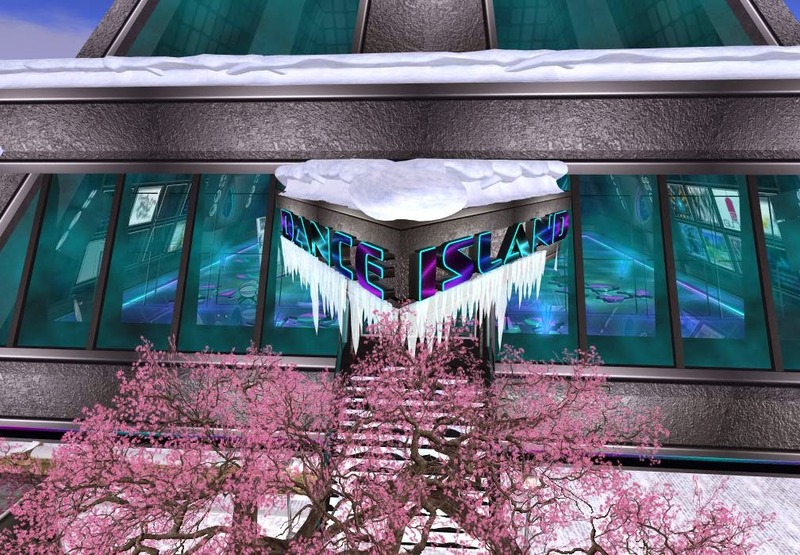 Dance Island has a large beautiful club. They play techno, disco and electro type of music here. They were also voted “Best Dance club’” . If you love to dance and meet new people this is a place to come check out. Once you enter the sim make sure you change your environment to midnight for the best effect. 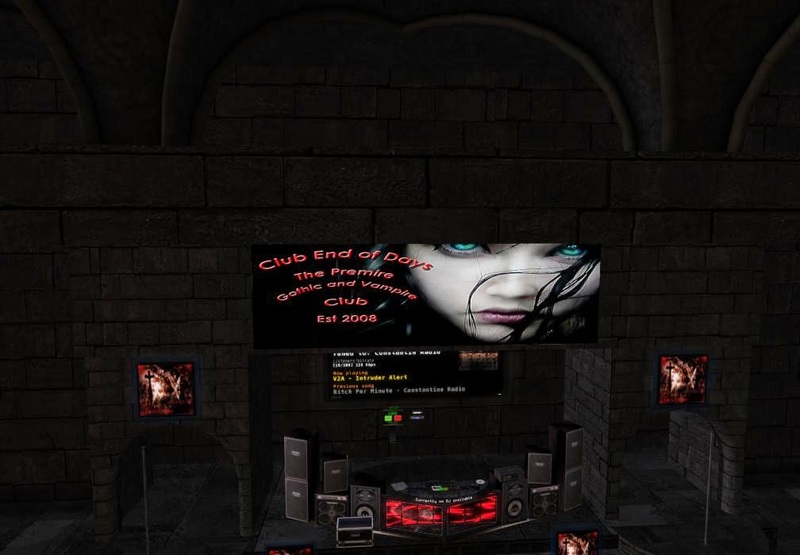 If you love the Goth/ vampire theme this is the club for you. It is set inside a castle and is very dark and mysterious. When you first see the name you might think It has to be a county bar right? But it’s not. They play all kinds of music from rock, pop, hip hop and so much more. It is inside of a cute barn. If you're like me and you're looking for a nice place to hang out with all types of music then this is the place for you. 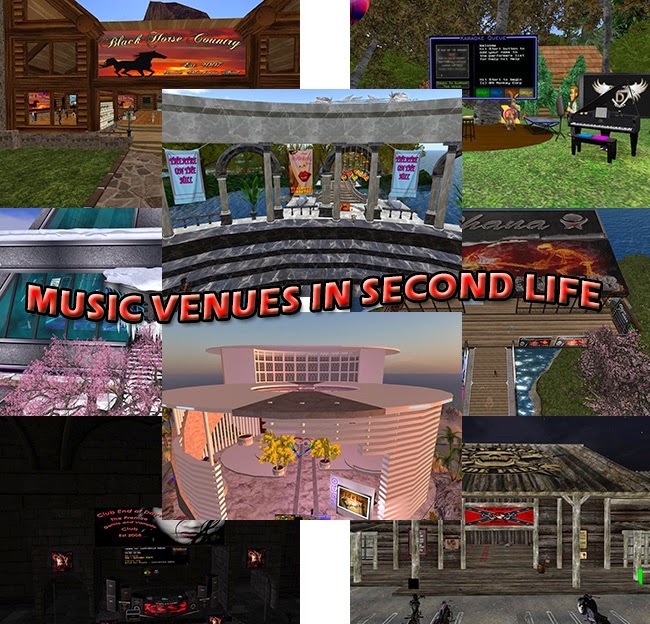 Of course there are more to Second Life then just clubs. They also have Theaters, Opera Houses, Concert halls and even places to sing your heart out on Karaoke! One of the theaters I visited was “Theatre on the hill” where they perform Broadway shows. The theater is set over water and beautiful! Be sure to check out this venue if you're looking for a great show. The Oval Concert hall features live music from Opera, Dj’s and live performers. It sits on the hill and has a unique way for you to get around the sim. 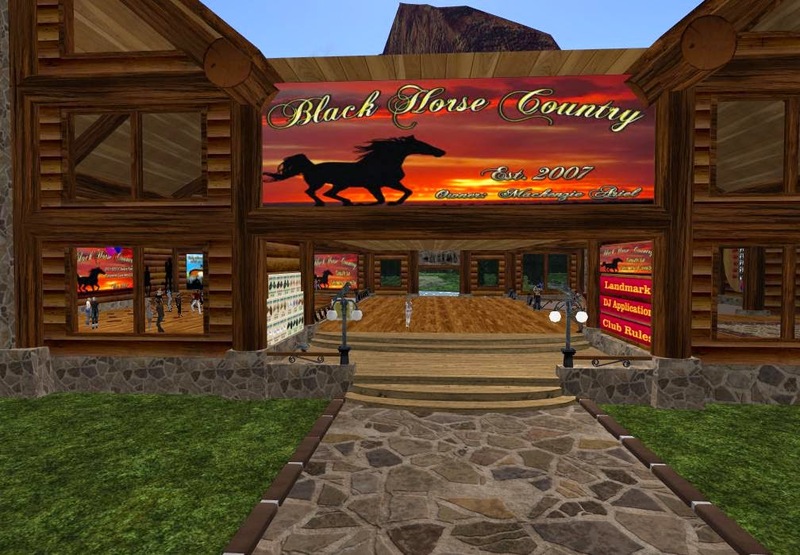 If you are looking for a place to have a nice relaxing evening then I recommend visiting this sim. One of the many places you can visit to showcase your voice is “Firestone Karaoke”. 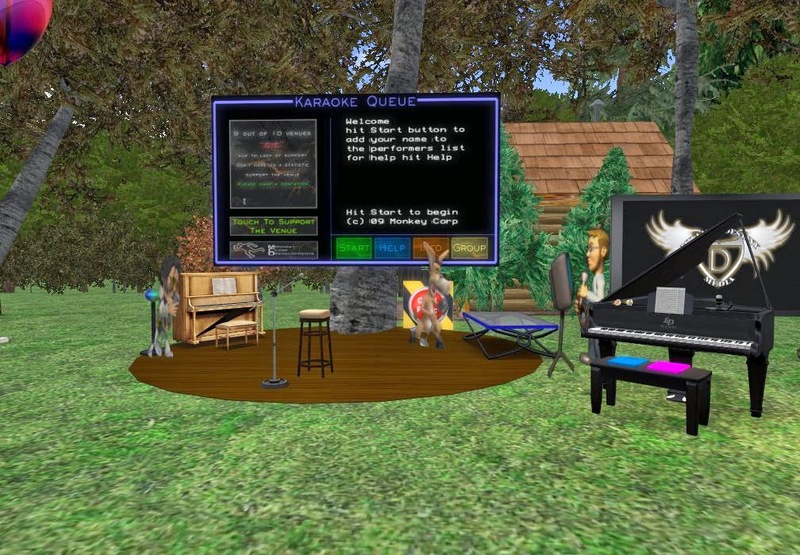 To get started all you have to do is touch the board and follow the instructionsI think karaoke is a great way to practice your favorite songs and have fun with others who like the karaoke scene. As you can see there are a lot of music venues and genres to choose from. 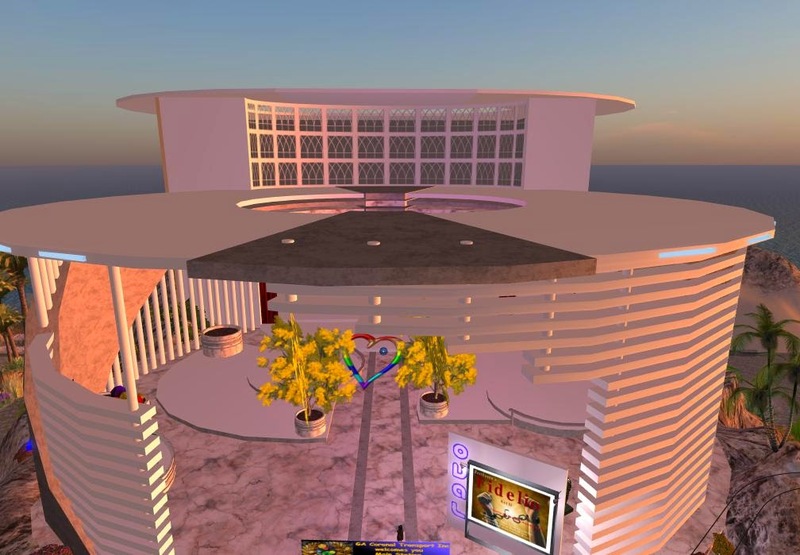 Whatever you choose there is always something to do for everyone in Second Life.